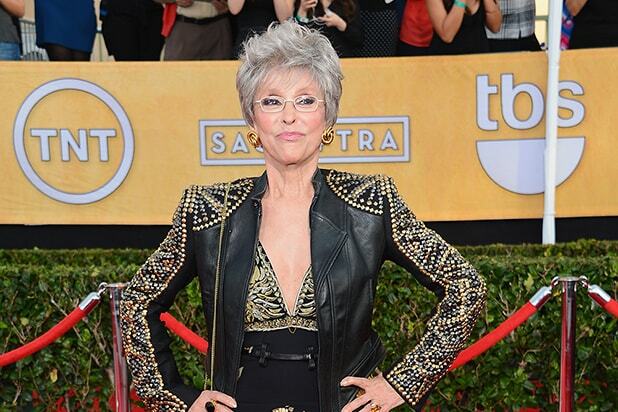 Nearly 50 years after winning an Oscar in the original film adaptation of “West Side Story,” Rita Moreno is returning to play a new role in Steven Spielberg’s upcoming remake of the classic musical. Moreno will also serve as an executive producer. Instead of playing Bernardo’s strong-willed girlfriend, Moreno will play Valentina, a reimagined and expanded version of the character of Doc, the owner of the corner store where Tony works. In the original movie, Doc’s store serves as the spot where the Jets and Sharks agree to do battle under the nearby highway, while Doc himself can only watch helplessly as Tony and Maria’s doomed romance deepens. “Angels of America” scribe Tony Kushner has written the adaptation of the 1957 musical. Spielberg, Kevin McCollum and Kristie Macosko Krieger will produce the film musical, which will be released by Twentieth Century Fox and is set to start filming next summer. “Baby Driver” star Ansel Elgort is set to play Tony, with casting still underway for Maria. Moreno is repped by Innovative Artists.